Last weekend I decided to rent a Kawasaki Z250 and have a ride in Hakone (Japan). As I have said also in other previous post, in Japan there is an easy way to rent motorcycle, it is called Rental819 (819 is read "baiku" that means "motorcycle", in Japanese). By renting the motorcycle only one time, the price is quite high, but they have a nice service for residents in Japan, which is called My Garage Club, and by paying monthly for one year, it is possible to rent the motorcycle 10 or 24 times, at cheaper prices. It was my first time to ride a Kawasaki Z250. Some months ago I already tried the Kawasaki Ninja 250R, the last model, and I had a good impression. 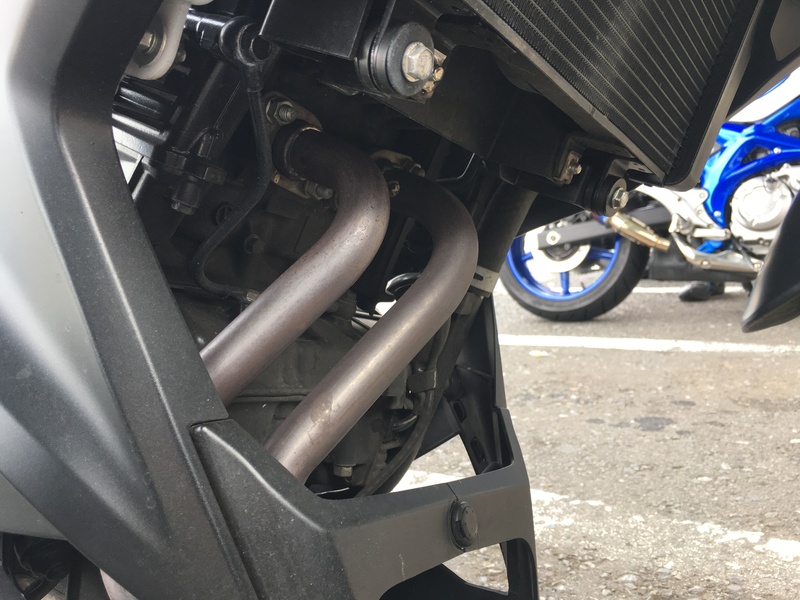 The 2-cylinders inline engine installed on these sister motorcycles is pretty good, with its 31 hp and a pretty light weight not exceeding 200kg. To be honest, I really liked the engine of this Z250, it is very smooth when it revs up, no vibration. Some weeks ago, I also had the chance to rent a Yamaha R25, which also has 250cc engine, same as the Kawasaki Z250 and Ninja, but with slightly more power. 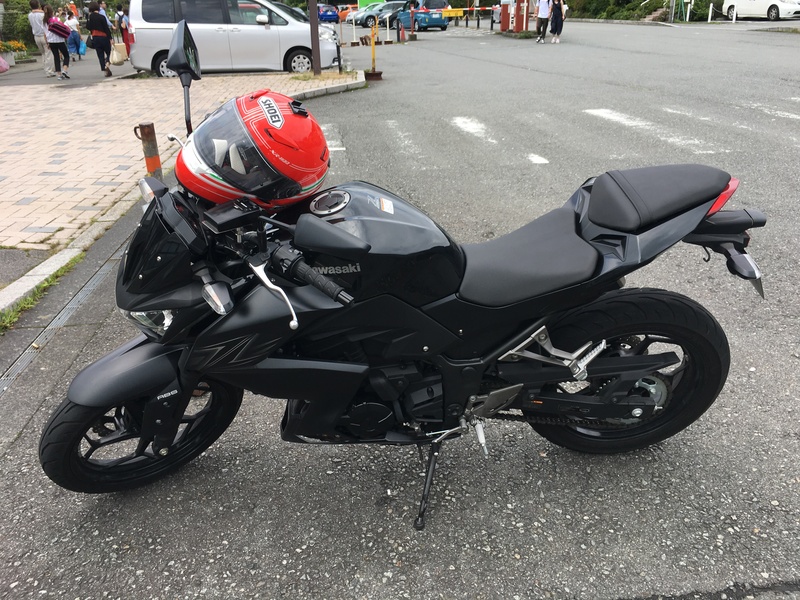 However, I noticed that the engine of the Yamaha R25 had more vibrations, therefore I prefer the one of the Z250, which is a little bit less powerful, but it is very smooth. Moreover, the model that I was riding also had ABS, so it is safer than many other motorcycles, especially when braking on a wet road. 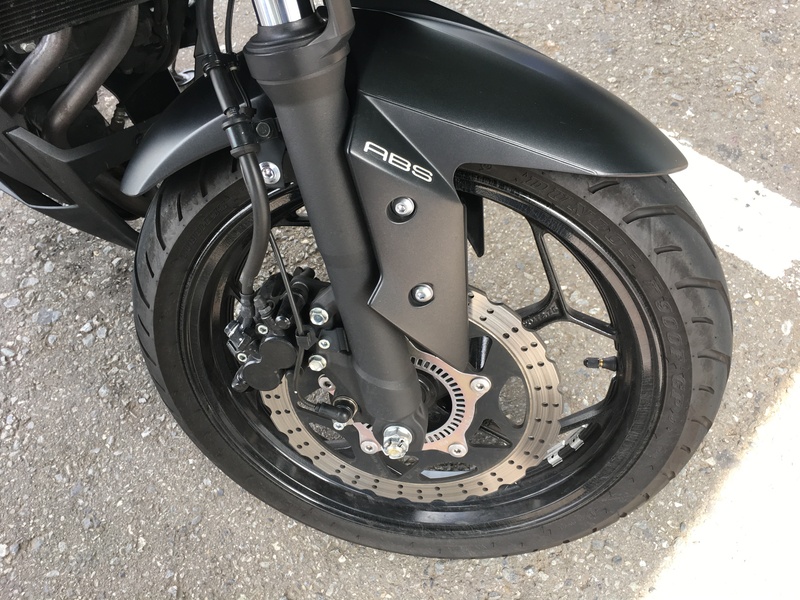 There front brake as a single disk, but it is enough to brake the motorcycle because it is not so heavy, and also it does not reach so high speed. Now, let's have a look at the sound check, that I did on the Service Station in Ebina, between Tokyo and Hakone. With this Kawasaki Z250, I went to Mazda Sky Lounge by riding on the Mazda Turn Pike road. 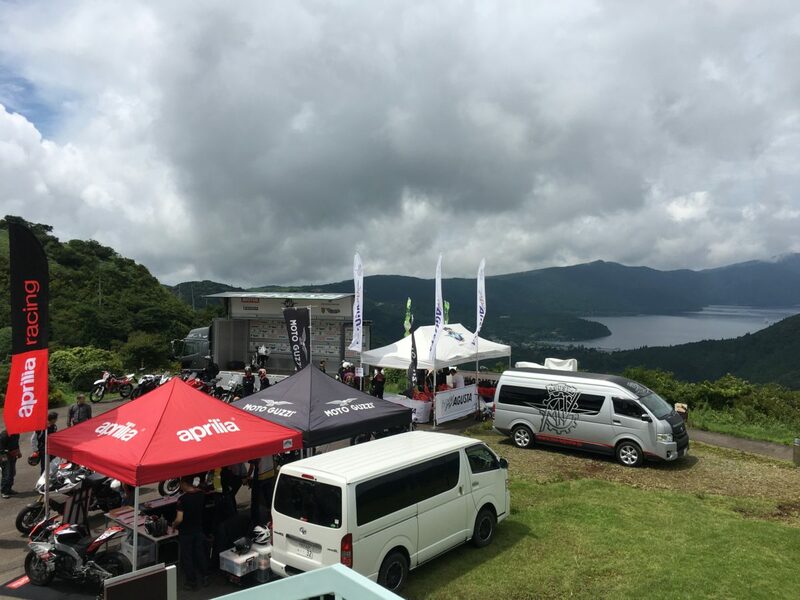 When I arrived at the top, there was a nice test ride event with Aprilia, Piaggio, SWM and some other motorcycle manufacturers. 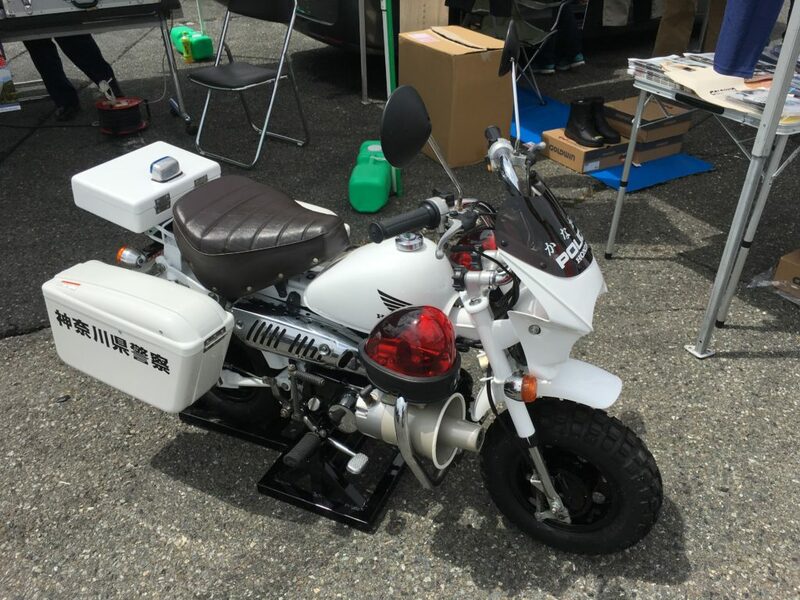 There was even Japanese police with a cute small motorcycle, I guess a Honda Monkey, which is visible in the picture below. After seeing a bit the event, I decided to ride again on my Kawasaki Z250, and I went down to Moto Hakone (元箱根), which is a place located right under Hakone Ashinoko lake. There, I had the chance to eat some very tasti handmade sausages. 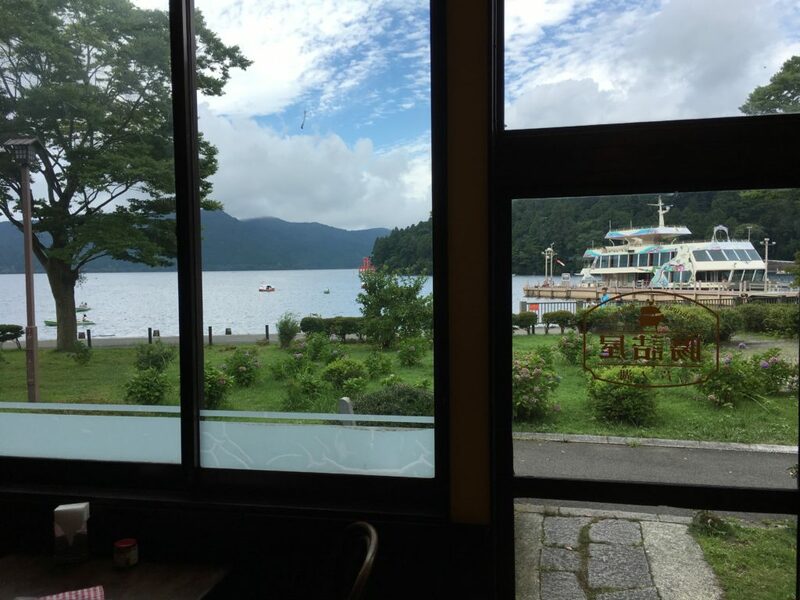 If you ever come to Japan, I definitely recommend you to come here in Moto Hakone. 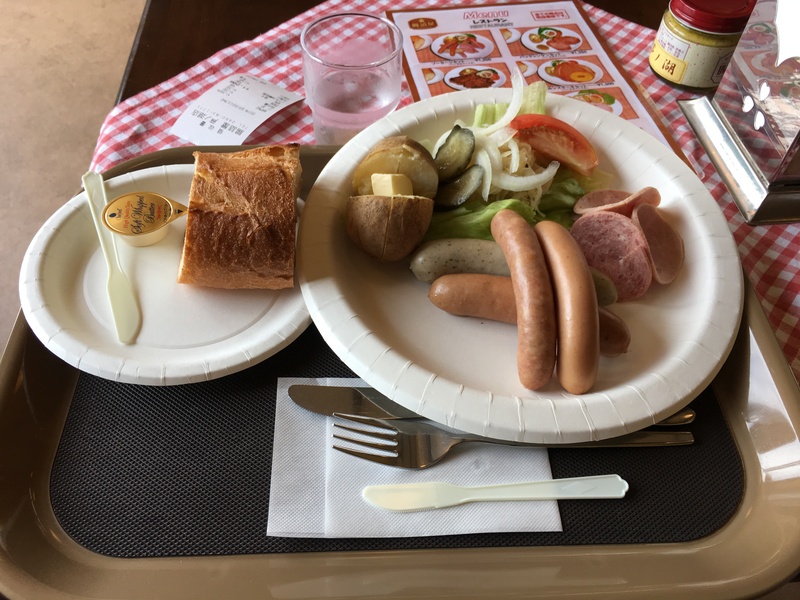 The food was good, and also around here there are many onsen (thermae, hot springs) which are nice if you are tired and want to relax. Finally, I went back to Tokyo and, before returning back the Z250, I filled it with normal gasoline. Despite having run for more than 200km, the amount of gasoline that I had to fill in was just 893Yen, 7.03 liters. Not bad, it means that the fuel consumption was something like 30km/l. Finally, my riding impression of this Kawasaki Z250 was pretty good. The acceleration is acceptable before 100km/h, then the motorcycle speed starts to grow up slowly, but I think that it is more than enough to have fun in the weekends. Moreover, this motorcycle also had ABS, which is better to have nowadays, especially when the road is slippery and you need to brake at the last moment. I really recommend this motorcycle.